Contact gsnider@cityofnewnan.org for more details! 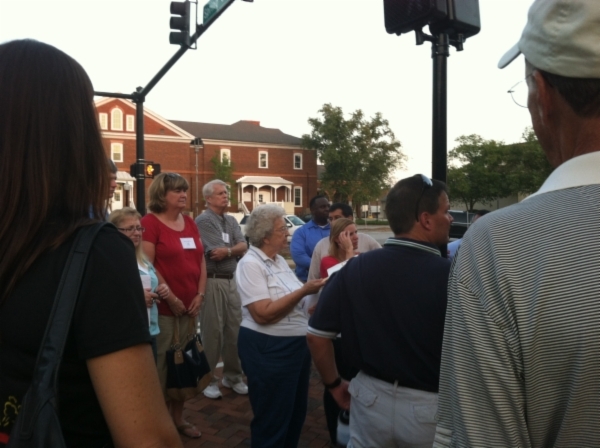 Participants will attend six classes, toured city buildings, heard from department heads, participated in a Smart Growth Walking Tour and attended a special Newnan Citizen Academy Work Session before a City Commission meeting for a Q&A with the City Commission. 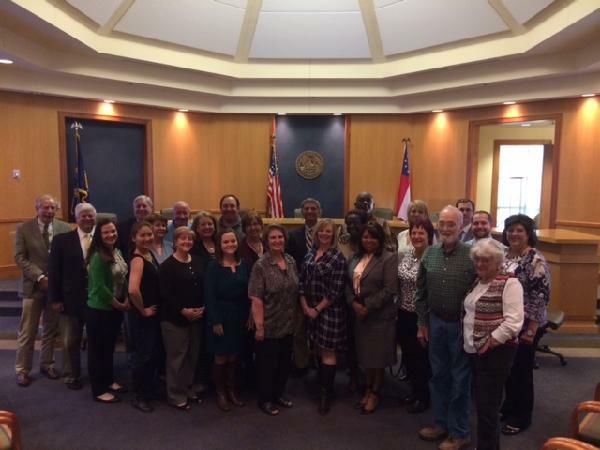 Newnan Citizen Academy is offered every January. Classes are held in the evening and are open to the community. If you are interested in taking the 2018 Newnan Citizen class, sign up in Fall 2017. "Don't ever get rid of this program as it shows citizens where their tax dollars go and all the different events the city has to offer." To "put a face" on local government, making it more accessible to the community. Each class consists of six two-hour evening sessions focusing on specific areas of government. The sessions are conducted in various city buildings, including the police station, public works building, city hall, and the recreation center. Classes are limited to 25 participants and are filled first-come, first-serve. Each class consists of six two-hour evening sessions focusing on specific areas of government. The sessions are conducted in various city buildings, including the police station, public works building, city hall, and the recreation center. Classes are limited to 25 participants. Here's what Newnan Citizen Academy graduates say about their experiences in the program: "The most fun I have had in a learning environment since college." . . . "We now know the city listens as well as how to make our voices heard." . . . "Thank you for quality city leadership and a quality course." . . . "Every city should have this kind of program." . . . "Newnan Citizen Academy exceeded my expectations"..."There is an authentic love for Newnan that is evident in these skilled leaders and is foundational to the successful culture surrounding our city"... "What's your secret to the "secret sauce" in Newnan?"